SAN MARTIN, Calif. - Sept. 21, 2016 - PRLog -- Today marks Operation Freedom Paws' (OFP) 5th year as a non-profit, and what a ride it has been! From that first Marine who contacted founder Mary Cortani to nearly 260 clients served five years later, as a grass-roots non-profit we have accomplished a lot! 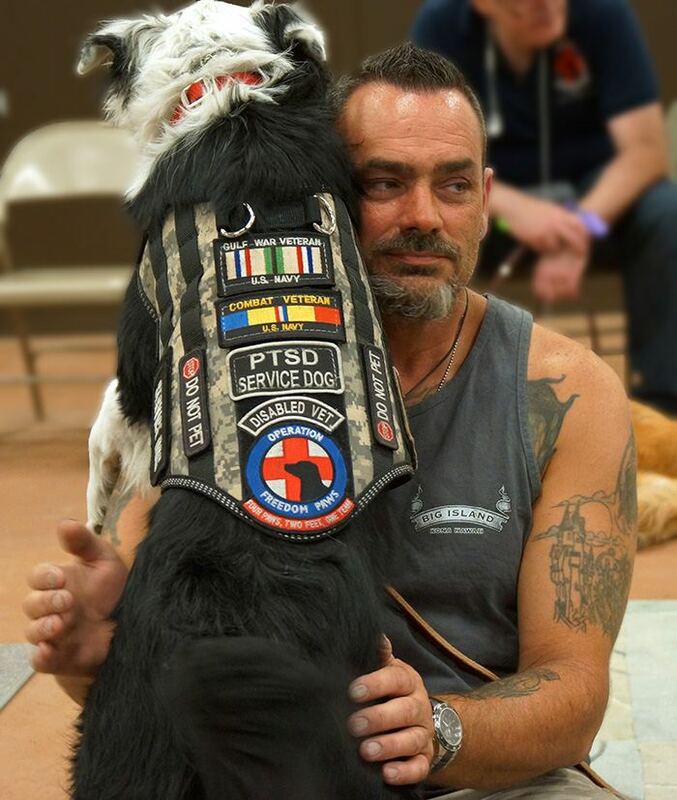 In 2010, Operation Freedom Paws began rescuing dogs from shelters and matching them with veterans and others with disabilities, then training them together to certify as service dog teams. In 2011, we earned our 501(c)3 non-profit status. Even at the start, Mary knew that she wanted OFP's mission to follow the Chinese proverb, "Give a man a fish and he will eat for a day; Teach a man to fish and he will eat for a lifetime". Every day she is making this dream a reality, client by client and dog by dog. As Mary reflects on the last five years she says, "It has been an unbelievable journey to see the strength, the courage and the conviction of individuals who have had nothing but obstacles thrown their way. It is incredibly rewarding to witness the impact of the love and understanding these dogs give our clients. They regain self-confidence, and learn that, despite their disabilities, they can achieve anything they set out to do. This is the gift I receive every day." Today, Operation Freedom Paws offers a holistic approach by providing training to help each client teach his/her service dog to perform tasks specific to that person's disability, and other programs to support clients and families. For instance, we offer spousal support, kids' activities and anger management groups. OFP's success is grounded in our uncompromising demand for exceptional service dog etiquette, the human-canine relationship, and the ability to think outside the box that allows our clients to heal and begin again. We have a lot of plans in the works for the next five years, and we hope you will join us on the next phase of our journey----help us support our clients and their service dogs! Operation Freedom Paws, a 501(c)3 Non-Profit, empowers veterans, adults and children with disabilities to live a quality life by teaching them to train their own dogs, and certifying them as service dog teams. The dogs, usually from rescue organizations or shelters, are carefully evaluated. Each is then matched to a specific client's physical and psychological needs. There is no charge--all we ask is a commitment to complete the 48-week training program. Operation Freedom Paws also has a fully licensed kennel offering daycare and boarding services to the public assisting in off-setting the costs of the non-profit. Call 408-683-9010 to learn more about our services and pricing. Operation Freedom Paws Founder Mary Cortani Selected as Nominee for National Jefferson Awards!